With a name known around the world and a reputation for excellence, Regis Salons are great options for anyone looking for a classic or trendy cut or style. With salons located in many malls and shopping centers in hundreds of cities, you will find that you are almost always close to one of these reputable salons. Regis Salon prices start at $30 for a women’s haircut and go up from there. 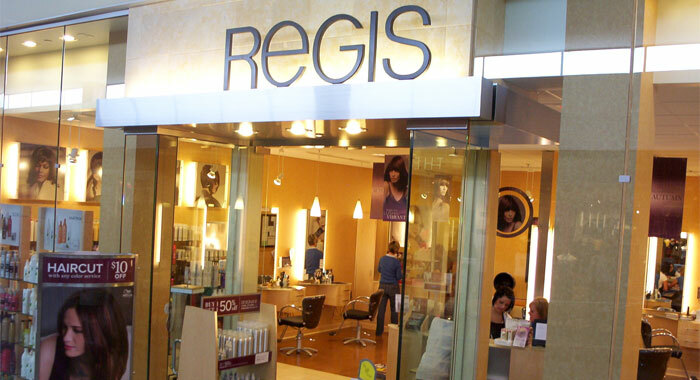 Although Regis is a huge corporation today with over 10,000 salons around the world under the Regis name, its dedication to customer service excellence is what fuels its continued growth and health today. When you visit a Regis Salon near you, you will immediately notice their commitment to your happiness and satisfaction from the moment that you walk into the doors. Your stylist will take the time to get to know you and to determine exactly what you want done that day. You will always be treated politely and with respect. Another good reason that you should choose Regis is its budget-friendly prices. Despite its dedication to service excellence and to cutting-edge styling, it retains its low prices, allowing you to look your best without emptying your wallet. Because you can almost always get a walk-in appointment for you or your children, it is a good choice for convenience for your entire family. Regis Salons offer a full lineup of haircuts, styling services, chemical treatments and additional salon services to help you look your best any time. For example, with personalized waxing services for your face, you can get rid of unwanted hair along your brows, lips and more. However, their most popular services are haircare services. Of course, haircuts are the main draw to this salon. With professionally trained stylists who receive plenty of continuing education each year, you can expect a great cut that frames your face well. If you want to save money, you can choose to add other desired services on through one of their price packages, such as an affordable cut with a shampoo and blow dry. Regis also offers a full array of color services for getting rid of grays, highlighting your hair or getting an altogether new color. Permanent, demi or semi color gives you a new overall color while mini, partial or full highlights add an individualized look. In addition, Regis provides more intricate services, such as balayage, ombre, texturizing services and deep conditioning services. All haircuts come with these complimentary extras: Consultation to find the perfect style for your hair texture and face shape, soothing head massage during the shampoo and conditioner service, and professional advice on how to keep your style looking great once home. Includes shampoo, conditioner, cut, and dry. Includes shampoo, conditioner, cut, dry, and style. All color services include a personalized consultation, color test and mixing, and application to create that perfect look for you. For covering that gray or lightening/darkening your natural hair color. For refreshing faded hair color, to add vibrancy, or increase the shine of any natural hair color. Designed for bright, fashion-color results, or blended gray coverage. All highlight services include a personalized consultation, color test and mixing, and customized foil placement to bring out the best in your hair. Add a touch of visual interest to your look with this intro to highlights. This 7-foils service is quick and creates subtle highlighting around your face. More extensive highlighting process. Perfect for those who like dimensional color, highlights, or lowlights. Designed for those who want bright, fashion-color results, or blended gray coverage. These fashion-forward color techniques will add beauty and interest to your hair. Your stylist will essentially "paint" on your hair color, creating a subtle, sun-kissed look that's entirely you. A trendy style that leaves your hair darker from the roots to mid-shaft and gradually gets lighter and lighter toward the ends. Adds depth and intrigue with a gray, silver, or light lavender color. From elegant to edgy, make sure your look is unforgettable. Styling includes braided up-styles, chignon, French twists, or other styles to fit the event. Includes a relaxing shampoo and smooth blow out to de-frizz and create body and shine. Permanent wave creates curls or waves full of body. Relaxer is for naturally curly or frizz-prone hair that needs permanent smoothing. Retexturizing is designed for curly hair to reform the curl pattern. Treat yourself with a customized treatments such as Designline, Redken Chemistry Shots, and Malibu that nourish, replenish moisture, and strengthen hair. Includes a soothing head massage. Stay beautiful with personalized waxing services including eyebrow shaping and facial hair removal. Room temperature wax is used for comfort. While Regis sells a variety of salon-quality haircare brands, it also creates and own its own line, known as DesignLine. This is a full line for both men and women, and it contains shampoos, conditioners, hair treatments, texturizing sprays, styling gels and much more to give you a salon-quality look without the huge investment. However, you can also find a variety of other favorite brands here, including Redken, Bedhead, Kenra and more. The newest in-store offering is Amika, which includes cleansing and styling products as well as electrical appliances to keep your hair looking just as good at home as it did after your appointment. Regis Salons is just one of the namesakes of the Regis Corporation, the largest hair salon corporation around the world. Regis Corporation owns more than just Regis Salons. It also owns such well-known salons as Cost Cutters, SmartStyle, HairMasters and MasterCuts. With most of these located in nearly any mall in the United States, Regis has made itself into the most well-known brand of hair salons. Surprisingly, this enormous corporation that numbers over 10,000 salons total began as a family-owned operation founded in 1922 by the Kunin family. Today, it is still based in Edina, Minnesota, but after the Kunin’s son took over in 1958, the brand was renamed as Regis. It has continued to grow around the world and takes great pride in its family-oriented business model. It boasts a multi-billion dollar revenue each year. Despite the size of the Regis Corporation, it retains its sense of commitment to the needs of its individual customers. Customer service is a major part of why they have succeeded, and customers today continue to return to the same Regis Salon because of their constant satisfaction with the cutting-edge services offered.